Sir Alan during his time at the treasury. The Barlow Collection was formed by Sir Alan Barlow (1881-1968). Educated at Marlborough and Oxford, Alan Barlow had a distinguished career in public service. He worked as a civil servant in several government departments and was Private Secretary to Prime Minister Ramsay MacDonald in 1933. 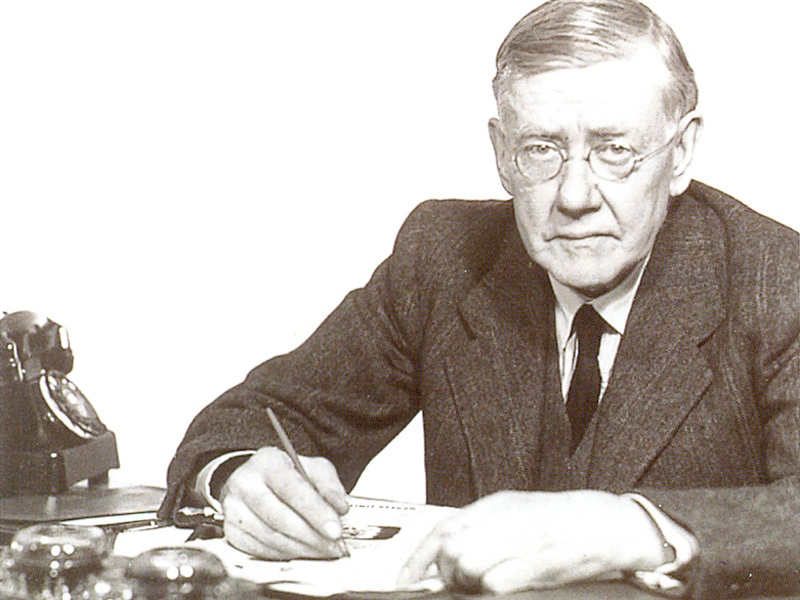 He retired from a post at the Treasury in 1948. Much of his career was involved with the financing of education and culture. Over many years he collected widely in Chinese art and served as President of the Oriental Ceramic Society from 1943 to 1961. The bequest of the collection to the University of Sussex in 1974 realised a desire shared by Sir Alan and Lady Barlow that the collection should be used within an educational environment to promote interest in Chinese art and culture. The management of the collection was placed in the care of the University Library in 2006 and it rested in the Library Building alongside other collections of the University, including rare books, manuscripts, works of art and the Mass Observation Archive. Students, especially those from the Art History Department, were actively involved in issues of display and the collection was used regularly for teaching and research. The creation of the online catalogue in 2006 was designed to encourage a yet wider use of the collection by all those interested in the arts of China. To ensure that the Collection was seen and made use of by the widest number and range of students, researchers and members of the public, in 2008 the Trustees commissioned a study to examine options for its future use. They then began the process of identifying a possible alternative location and in July 2010 decided to offer the Barlow Collection on loan to the Ashmolean Museum. Under the terms of an agreement between the Trustees and the Ashmolean, the Museum will ensure - in keeping with Sir Alan Barlow's wishes - that the Collection is kept intact and will make it available to public view and for teaching purposes. 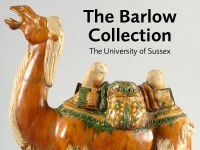 Professor Maurice Howard, art historian at Sussex and previously a curator of the Collection, said: "The University of Sussex can be proud of its achievement with the Barlow Collection over the years. It has been used for teaching, was regularly open to the public and we sponsored an annual lecture that drew many friends back to the University. Thanks to a grant from the AHRC from 2003 to 2006 we were able to commission a new, scholarly, online catalogue and a complete photographic record of the collection." Jeremy Barlow, grandson of Sir Alan Barlow and senior trustee of the Barlow Collection, said: "The move to the Ashmolean fulfils my grandfather's wish that the Collection should be used for teaching and to stimulate creativity, and that handling by students should form an integral part of the educational process." The Barlow Collection was placed in storage at the start of a major refurbishment of the Library, in 2009. The Ashmolean opened the Collection to the public in its new home in spring 2012.